Moreover, the project will address safety aspects, liaise with standardization organizations and establish contact with industrial practice. As such, this collaborative project will essentially help to accelerate the development and the market penetration of hydrogen and fuel cell energy systems in Europe. 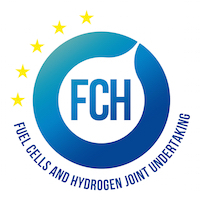 SOCTESQA is supported by the Fuel Cells and Hydrogen Joint Undertaking. It is estimated that up to 700,000 manufacturing jobs could be created in the global fuel cell industry over the next decade. USA, Japan, and Canada have competitive stationary fuel cell industries with newly emerging businesses. Other regions such as Korea, China, and India are investing forcefully in the technology. Europe is a very fertile ground for the implementation of small-to-medium scale power generation and grid stabilization through solid oxide cells, both in terms of technological know-how and market potential. The ene.field project shows how the demonstration of solid oxide fuel cell systems has taken off in Europe as well, in the field of residential combined heat and power generation. All this points to the urgent need to have an adequate system of Regulations, Codes & Standards in place, which addresses issues such as safety, installation, performance certification. SOCTESQA will carry out the necessary pre-normative activities – based on review of current standards, industry practice and customer requirements, experimentally validated – to supply standardization bodies with the information and drafts necessary for the creation of adequate, internationally valid protocols. 24-27 April 2017: Final SOCTESQA Workshop - visit us at the Hannover Fair 2017!